I was just cleaning up My Paint Storage Room and found the sample board I had painted with Behr Marquee. That stuff is nice and hard and I couldn't even scratch it with My finger nail, and I tried really hard! I'd have to do a lot more work with the product before I could recommend using it, but adhesion is not an issue. Just did my first marquee 1 coat. Have mixed feelings on it. Coverage excellent, sheen excellent, application difficult. Has a lot of good things about it. Even more then I listed. however the application is not great which knocks alot of that down alot. I see what others have been saying. Appears this white base isn't super friendly. Slight justification though I had a better experience with another sheen/base which was medium/matte. The open time for brushing was about 5 seconds before you should not touch it again. Rolling you have to roll and final pass before continuing like duration but more extreme. Coverage was great light over dark. Only parts I had to touch up where some streaky cuts but that's a me issue. 1 coat was a success but I feel like I could have used Ultra and did 2 coats in the same amount of time. Sheen is excellent, brush matches the rolled areas and there are no roller lines where your second or third pass are sometimes. If I were to use Marque it would have to be exterior sprayed or interior in another base after more testing. Not saying its a bad product. Just more favorable towards DIY and not production. Thanks for posting this. I feel like I've been second guessing Myself regarding the Marquee, but your experience parralells Mine pretty much exactly. It's kind of like what I was telling the gal at Rostoleum just a minute ago regarding their triple thick polyurethane product. I't designed to save time because you supposedly can do it in one coat, but in actuality, it is so awkward to work with that I'd rather do 3 separate coats easily, than to fuss with the hassle of woking with the one coat of their product. I can't remember if it was 6 minutes or 8 minutes that it took me to know Marquee was not capable of creating a finish similar to Premium Plus or Ultra. That's why I didn't bother spending any more time with it. Besides, I get nearly solid coverage as it is with Premium Plus or Ultra so hide isn't a sell point to me. You had an exceptionally bad batch. Most of it is not anything like what you experienced, but still not good. A bad batch is highly unlikely. Jack's right. My can did the same thing. Literally 5 seconds of open time with a brush. When I was using Sherwin Williams back in the day, I got tired of hearing "bad batch." I was thinking, so its just my luck that I am constantly getting bad batches out of this store? Come on... 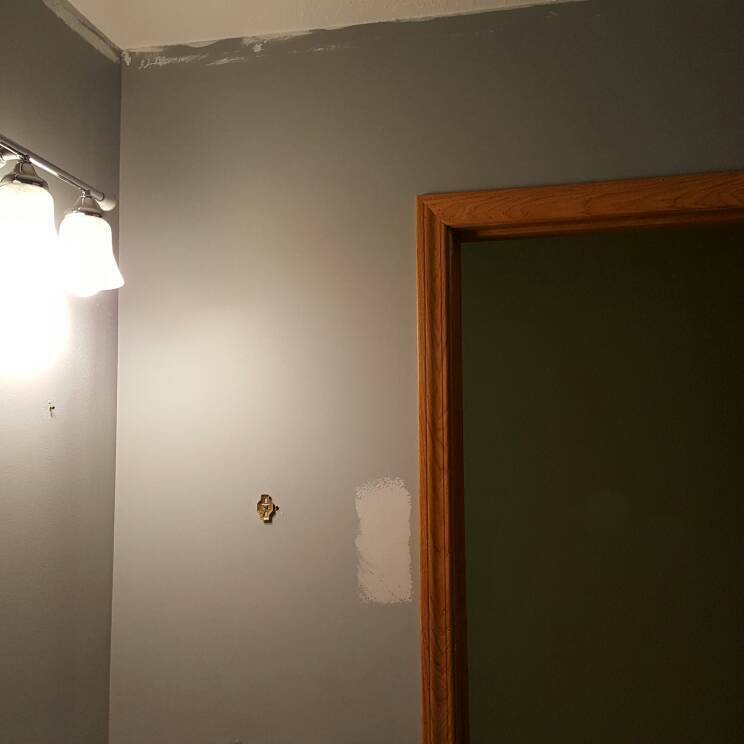 It later became a sarcastic running joke when I found myself working with other paint contractors using SW when they ran into problems with the same products. Same problems exist today so they should get an award for the longest running bad batch of paint. I noticed with one color(tan), was almost as thin as a stain and had about as much hide as Promar 400. While another color(antique white), was like a motor oil additive and had outstanding hide. These were matte finishes used on walls. I totally agree on your take of "bad batches". It's inconsistencies like I just mentioned that really drive me crazy. It's a flip of a coin every time you pop the lid open. No thanks. About the time I dropped SW I was having problems with every product I carried out of the store. It got so bad that I eventually made a list over the course of 2 months and attempted to talk to corporate about it. The solution? Nothing. No follow-up. No nothing. All I wanted was for someone (I didn't care who) to show me how to get the product to work as sold. What do you expect from a company, that just looking at their logo, it tells You they're not too sharp! In a day and age of everyone trending "green" their logo is a globe of the Earth with paint being poured over it. Now that's just stupid. Not only that, but it's totally outdated looking. They tend to hire a bunch of teenagers who haven't had the opportunity to learn anything about paint or painting. Allow Me to push back on this Brian. I would say it is very likely with all that we have discussed with the inconsistencies with paint related products. You batch was bad bod for obvious reasons. First being, it wasn't good! Sounds circular, but My point is that the experience you shared is simply not possible on a grand scale. Nobody would be able to paint with the product You received, and certainly, if that was the norm, it would take no time at all for people to cease using it. The batch you got as not, not good. It was horrible. As I recall, the paint was literally congealing on top of itself! There's just no way people are putting up with this on a regular basis. I experience one batch like that Myself, and since then have used other batches that are no where near as bad. I have no axe to grind here, because, quite frankly, I am less than pleased with the product Myself. I think even the better one I received has it's problems, but then again, I've experience problems with the Ultra in the past as well. Let's just say Behr has a long way to go before they have a great product in the Marquee Interior line. The pre-primed MDF surface I applied Marquee to is not a surface Behr tests their products on unless that changed recently. So it is very plausible that I uncovered something about the product Behr wouldn't know. What more do you want to know? My gripe with Sherwin Williams was marketing BS. I wondered why all of the product features did not perform as advertised. My argument was simple, show me how. Does this surface look sealed? Does this look like solid coverage (hide)? 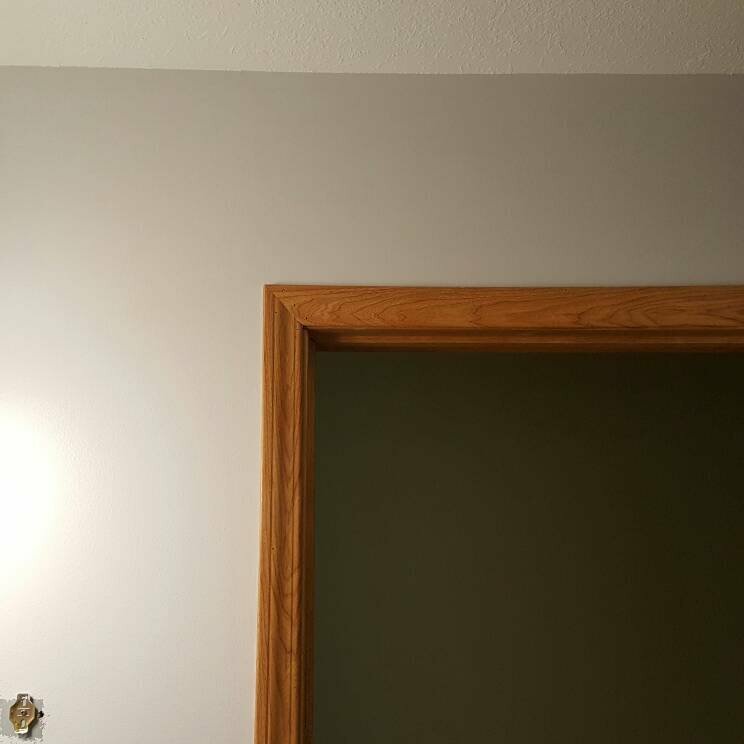 Does this paint look like it leveled (excellent)? Why did this excellent adhesion bonding primer fail repeatedly over many surfaces? I guess you just take a step back and compare $14 paint to $65 paint at some point and wonder what am I getting for $65?